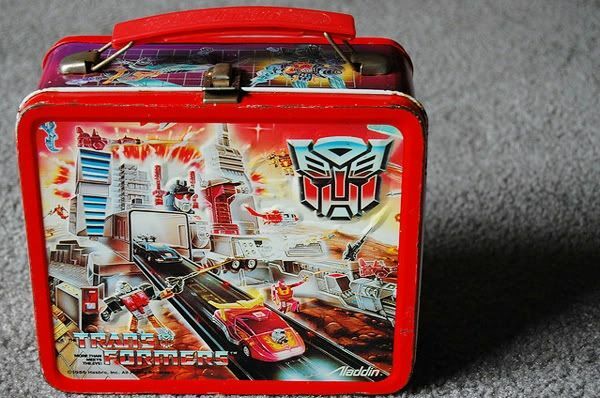 Back in the day, your lunch box was something you treasured. You eagerly picked out a new one each year…and carried it with a sense of pride. For some reason I feel like lunch boxes are much more utilitarian now. 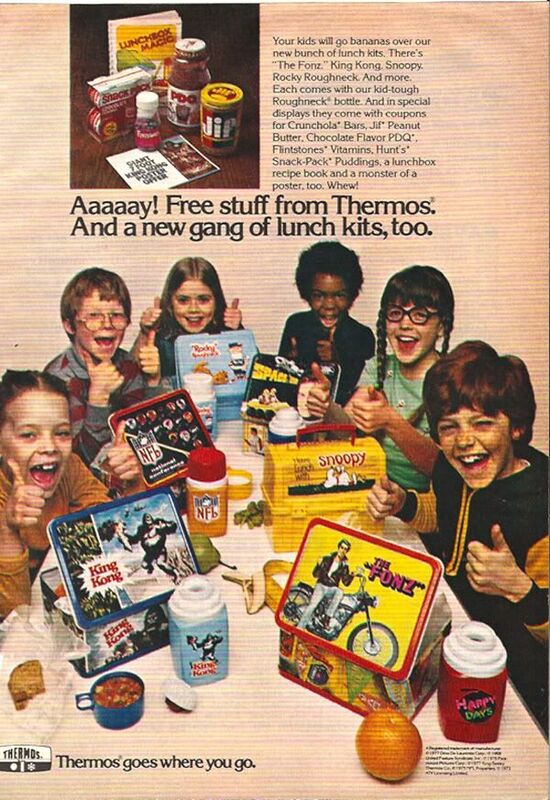 Sure, they still have cartoons and what not on them, but more and more kiddo’s on the elementary school playground have unbranded nylon totes. 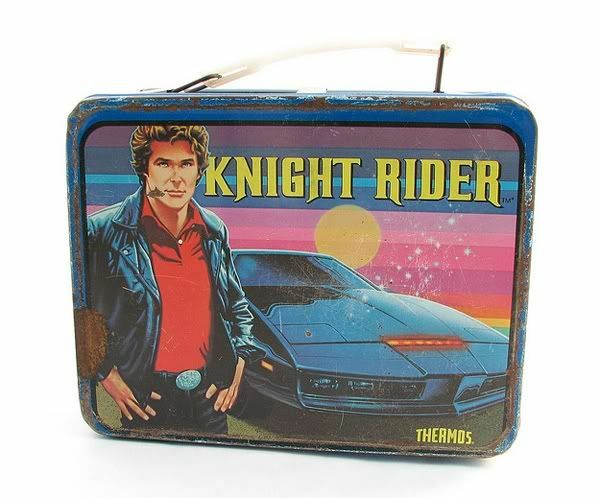 Even bento boxes, which can be darling, don’t have the same cache and magic of a Knight Rider lunch box, ya know? This photo sums it all up for me—and totally reminds me of my brother Karl. 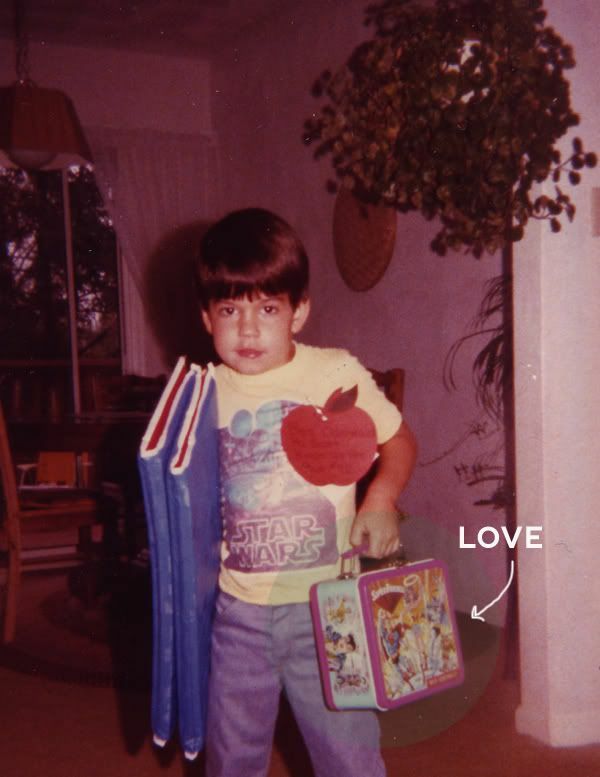 He worshiped Star Wars and looooved his awesome Super Friends lunch pail. 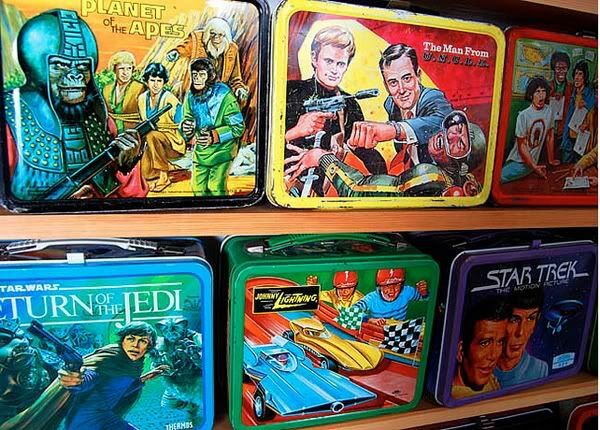 Lunch boxes were SUPER trendy amongst collectors back in the 90s….kinda like Pez. Prices became so inflated that I wouldn’t even really look at them, knowing they would cost a pretty penny. 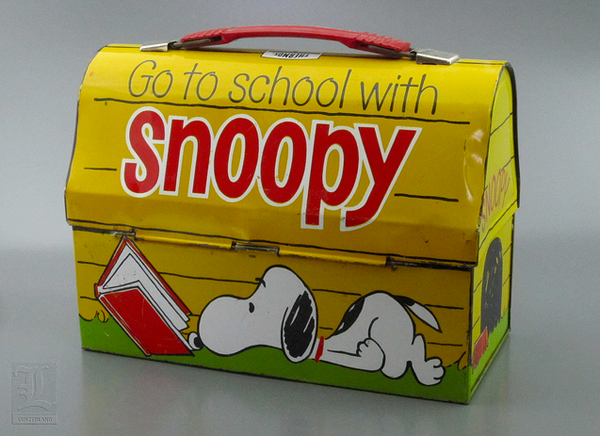 But the other day I stumbled upon a great Snoopy lunchbox and it reminded me that I DID still love them. 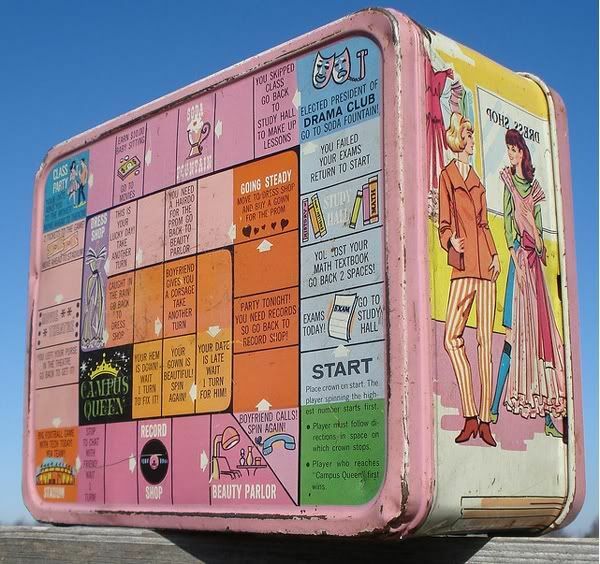 What kind of lunch box did you carry back in the day? 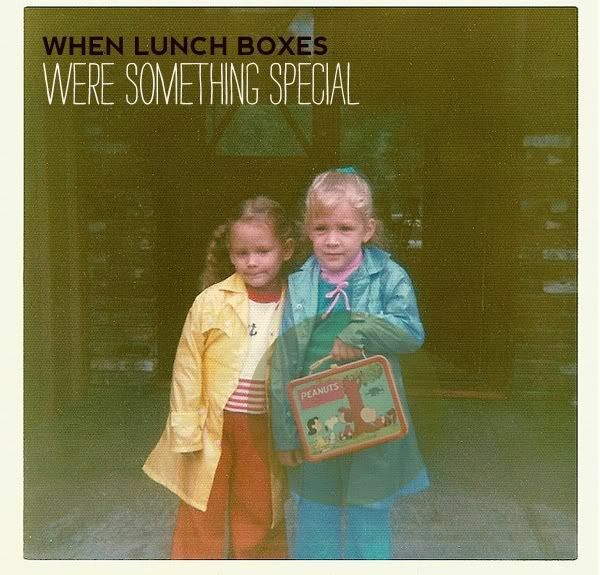 TV show based lunch boxed were especially popular in my day (the 70s). That Charlie’s Angels lunch box?? I sooo wanted one. 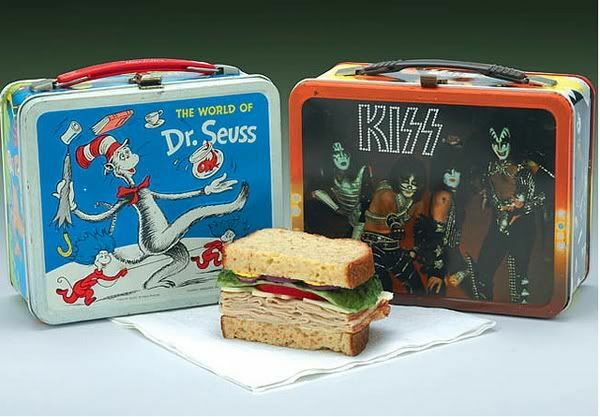 Ironically, often lunch boxes were for TV shows that your parents would never really let you watch….or for bands you never really listened to at age 8 (KISS, Charlie’s Angels, the A-Team….LAUGH IN!). But you knew of them through pop culture and you wanted to be a part of it all! I understand why they have evolved….tin lunch boxes get a little rusty, and nylon/vinyl is easier to clean. But man I miss those days. Wolfie likes his lunch box, and we got him a sweet Pokemon one, but I know he doesn’t feel that same reverence we all did when we were kids. Do you have these same memories? 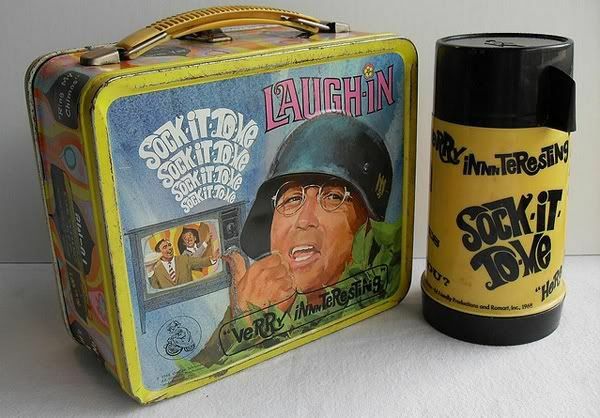 What was your lunch box? 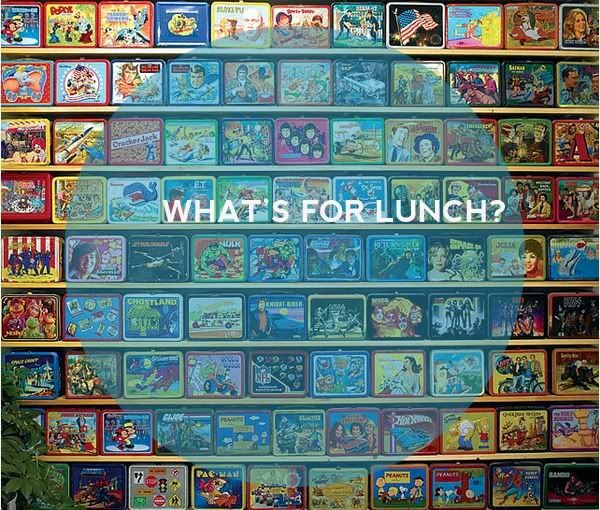 And how about your kiddos….what are they carrying their lunch in these days? I’m curious! 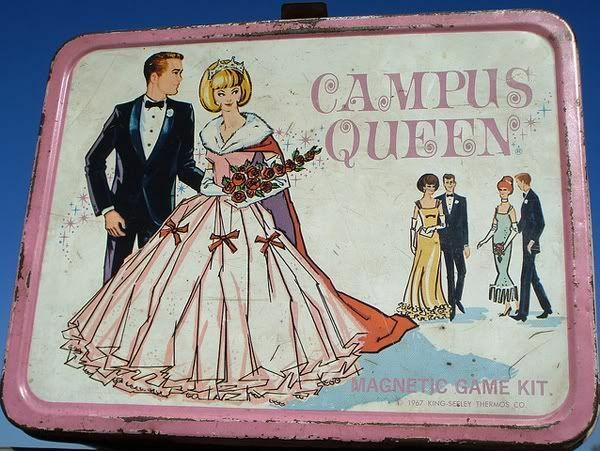 Posted in Vintage Pop Culture, Vintage Toys + Fun Stuff. So true about the lunch boxes being LESS than inspiring these days…..My little blossom ,however,collects tiny heart shaped rocks from recess and keeps them in her Koroppi lunch box..always sorta warms my heart! I hear you! 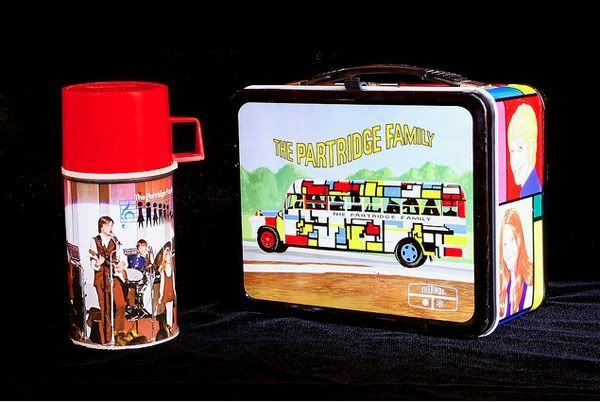 My brother is stilled miffed about not getting a James Bond lunch box, but now they go on Ebay for hundreds of dollers. I had a Mickey Mouse one that I didn’t get to pick out because if I did, I would have rocked the Charlie’s Angels ones. my first was a mickey mouse (back in the mid-70s. i know there was a strawberry shortcake and two vinyl wonder womans (a yellow and a blue, i believe). 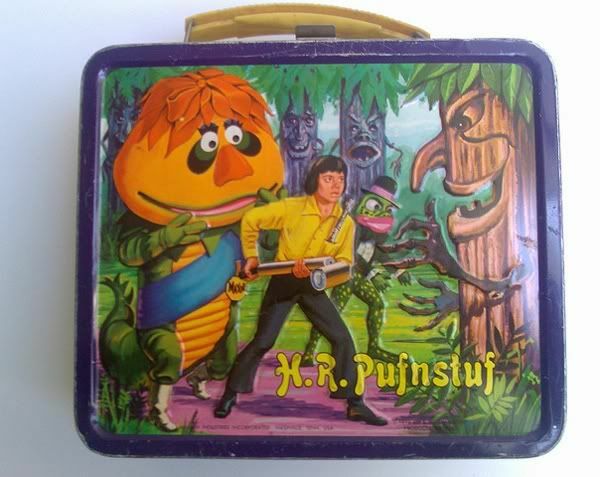 i was always fascinated by those orange tupperware lunchboxes with the snapping handles. my son’s first was a canvas lunch sack with animal patches sewn all over it and now we have two of the OOTS boxes. we also have an owl bag by skip hop. yeah, the new ones are all totally cute/sweet, but I don’t think they mean the same thing to our kids. ah well! 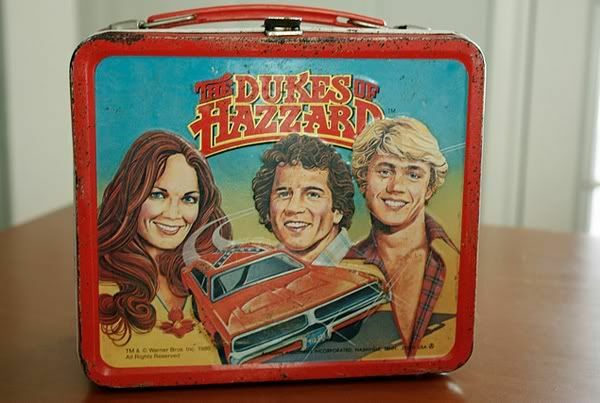 Mine was a plastic orange Wuzzles lunch box (it was 1985 so I missed out on the awesome tin ones)….and I STILL own it! In fact, it’s sitting about 2 feet away from me right now. Luna carries her little toys around the house in it! Between my brothers and sister and I, we had a Charlie Brown, an NFL, a Dukes of Hazzard, and I am so blanking on the others! There were tons more! We used them to carry our crayons for ages and ages after we out of lunchbox using age. 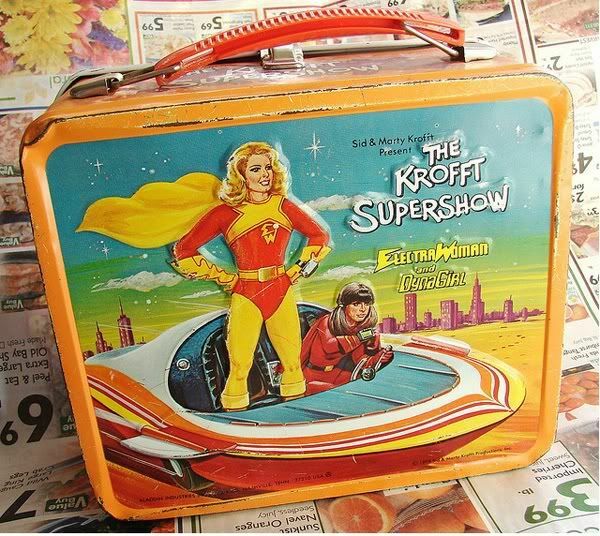 The first thing I ever remember buying for myself with my own money was a lunchbox. I loved that thing. Ingrid has a ladybug bag we got at target, but it’s already worn out after a few months. Time to shop!! love it!!! 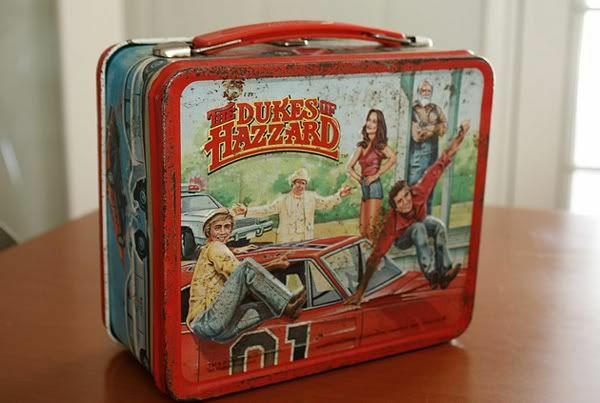 The Dukes one must have made you guys SO cool! Aha! It was Little House on the Prairie!! I bought my 2.5 year old a vintage Mary Poppins lunchbox and she’s IN LOVE. She puts her dolls in it and carries it around at the park. It’s a little rusty, but completely functional. a Mary Poppins one would be GREAT!! Hi, I’m pretty sure I had Peanuts, Holly Hobby and one about Disneyland that I just loved to look at because it had all my favorite characters. There is a chocolate shop in Noe Valley here in SF I usually stop by at the holidays which has oodles of lunch boxes. I immediately thought of them when I saw your post! No joke my dad has all of these and more. 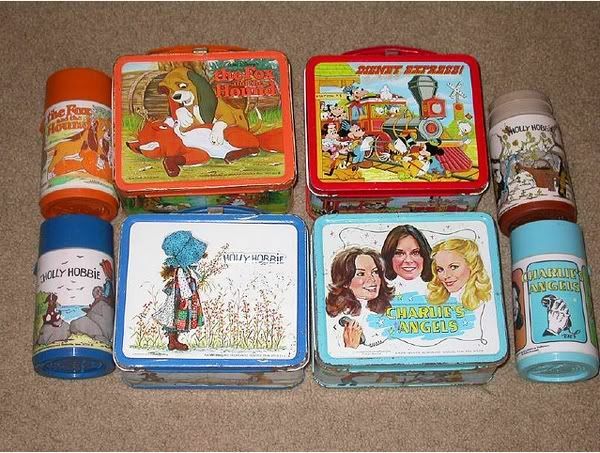 He had just about every old lunch box they made with they exception of about 20.
dealer offer me about 20 boxes for $5 or $10 each only 2 weeks later. BAM I was hooked. Glad to see your website promoting a great hobby. Keep it up! My collections have now turned to old cars. I am up to around 20. Very Expensive Hobby. aw Fred I’m so glad you commented. How cool! Are they all displayed in your house??? I’m jealous! What a special collection.